Last post, we learned how to solve rational inequalities. 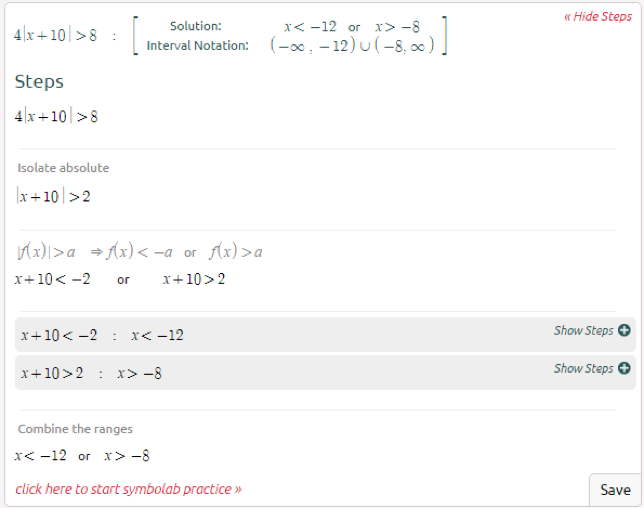 In this post, we will learn how to solve absolute value inequalities. 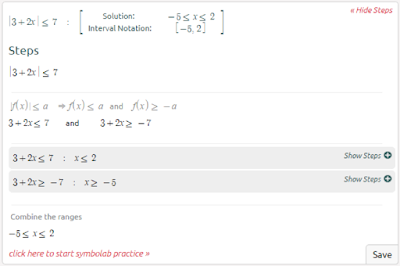 There are two ways to solve these types of inequalities depending on what the inequality sign is. Let’s see how to solve them . . . The red line is the solution for x. Remember because it is “less than,” a is not included in the points (this is why the circle is not filled in). The solution is in this form: -a<x<a. The same goes for ≤. Just substitute ≤ for < and fill in the circles in the number line. The red line is the solution for x. Remember because it is “greater than.” A is not included in the points. The solution is 2 inequalities, NOT one. It is in the form: x<-a or x>a. The same goes for ≥. Just substitute ≥ for > and fill in the circles in the number line. ANOTHER NOTE: Make sure a is positive or else there is no solution. Let’s see some examples . . .
Notice that the algebraic manipulations to be done are inside the absolute value, so that is done last. That wasn’t too complicated. 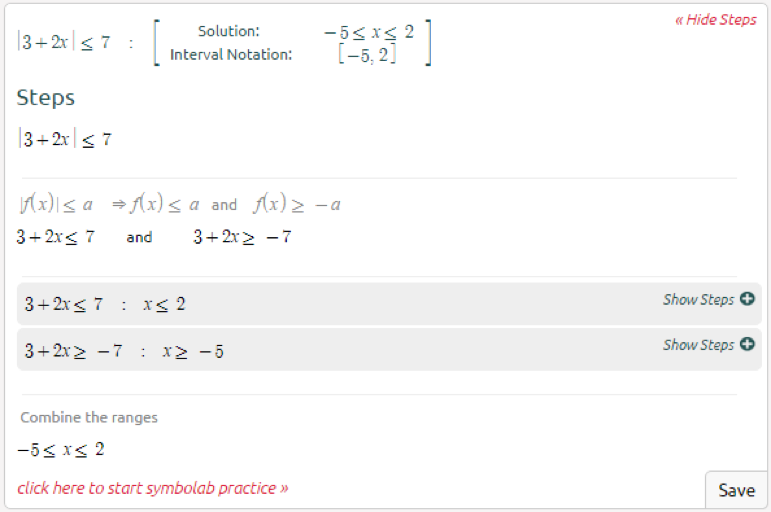 Next post, we will learn how to solve absolute value inequalities with two absolute value expressions in it. Make sure you practice because next post the problems will become trickier.